By taking a responsible, proactive approach to environmental issues – whether it’s refusing to use a product that exploits animals or opting to use a refillable water bottle – we can all play a part in protecting our environment and changing the world for the better. One of our educational travel programs that directly benefits the environment, while also teaching students how to take care of the environment and restore the environment with their own two hands is our Coastal Ecosystem Restoration program in Thailand. As you know, in Thailand, we have the amazing beaches and a rich marine environment that attracts tourists from around the world. As a result of overtourism, the coral reefs have been damaged. The damaged environment often results in reduced fish stock and threatens the livelihood of nearby communities. Ecotourism activities have since been developed as a means to draw attention to this problem and generate other sources of income for the community. In this educational travel program, students will have the chance to help a rural fishing community restore their marine and coastal ecosystems. When restoring a coral reef, the first step is to prepare the equipment needed to replant coral. To do this we will need tube cut in to different sizes, which we will use to create a square shape. Once we have our equipment, we can add the new coral. Experienced and trained divers will then put the new coral reef into the ocean where it will continue to grow. Of course this is only one part of our Coastal Ecosystem Restoration program in Thailand. Students may also have a chance to be involved in the reforestation of mangrove forests, participate in a sea grass nursery program, plant sea grass or releasing aquatic fish stock back into their natural habitat. Students can also help the community construct the infrastructure needed to support eco-tourism activities such as building a walking trail through mangrove forests or a small shelter and information board to help educate travellers. After your students have completed their Coastal Ecosystem Restoration program, they can also enjoy island hopping through the beautiful limestone karsts and canoeing along the mystic cave river in Phang Nga Bay. Alternatively, while on your way to the community, you and your students can experience the Phuket Old Town and learn the local lifestyle and taste some delicious local food. Side note: did you know that all of our journeys are customized to meet the needs of both your students and the communities we work with? 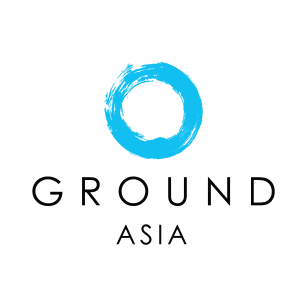 For more information, get in touch with our GROUND Asia team and find out how you and your students can contribute to coastal ecosystem restoration projects like these in Thailand.